We design & install professional security technologies that protect your facilities, your faculty & staff, & your students. Entec Solutions has served over 30 school districts throughout the West Texas region and beyond. We are your area expert to ensure your campus and buildings are the safest possible. Our expertise and experience covers all aspects of physical and virtual security, including access systems, cameras/serveillance, and personal safety apps. Entec Solutions is a contract vendor throughout the nation and the State of Texas, and has contracts seamlessly available through the BuyBoard and NCPA cooperatives. We also understand the needs of limited budgets, tight time lines and required protocols. We stay up-to-date on the latest technological developments so that our installations are the most modern available. From the latest advanced in access, cameras to incredible Web-based apps, we work to give you absolute best-value. Entec Solutions works to earn the trust of our clients to the end of a productive long-lasting relationship—you will see the difference immediately. We seek to be a long-term partner to address your security needs, today and in the future. Your students and faculty can have the greatest measure of personal safety and reassurance through deployment of our personal safety apps. No longer "science fiction," these apps offer amazing integration with larger systems... when a response is neeeded, it can be vastly improved over traditional methods of the past. Not sure you can access these cooperatives? Ask your organization's public purchasing professionals for additional guidance. Joining is quick and easy! We can review your needs with you & help identify key goals, then develop specifications. We can also help you access contracts or help you connect with your purchasing department. 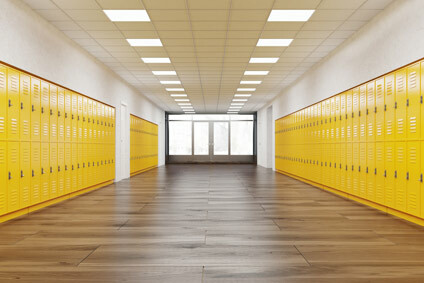 We specialize in customizing systems to meet the needs of your school or institution. We can help with widely integrated systems and broad risk mitigation. We can also assist with more advanced or infrasctructure-type features to accomplish goals unique to your district or campus.